ItemD-06416 - Soprano, Miss Eva Hart. ItemD-06423 - The SS Princess Victoria. ItemD-06428 - At Fort St. James, BC. ItemD-06431 - A.C. Annie Murray, Fort St. James. 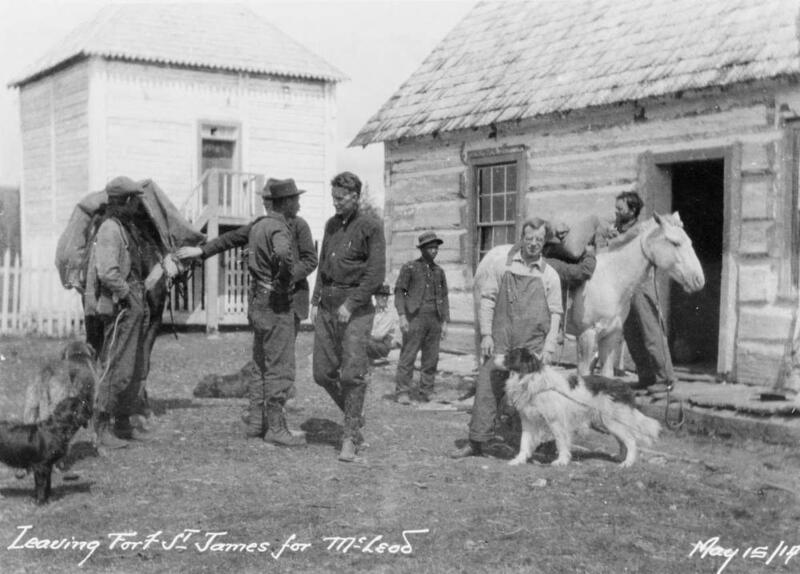 ItemD-06435 - "Leaving Fort St. James for McLeod." ItemD-06436 - Family collecting firewood at Fort St. James, BC. ItemD-06439 - At Fort St. James, BC. ItemD-06449 - The SS Princess Norah. ItemE-09147 - Members of the Chilcotin First Nation; Lillooet. Item D-06435 - "Leaving Fort St. James for McLeod."